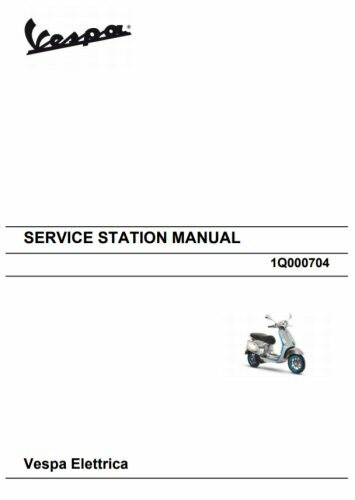 OEM Vespa Workshop Manual .PDF download. Maintenance, Troubleshooting, Electrical System, Engine Removal, Engine, Power Supply, Suspension, Chassis, Braking System, Clutch System, Cooling System, and Bodywork. The manual will be available to download by logging into your AF1 Racing account, or wait for delivery of the CD-Rom, if that option was chosen.